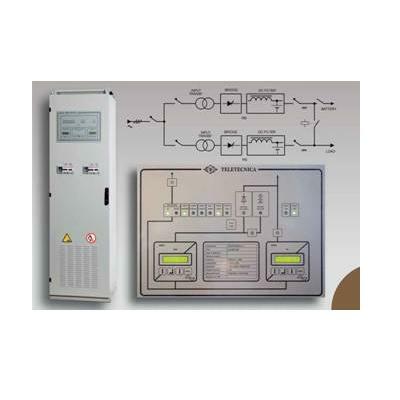 Thyristor and Switch Mode battery chargers from Teletecnica Italy are supplied by Standby Systems. This battery charger is available as a stand-alone or parallel system with equal load sharing capabilities. The battery charger can be specified with either natural or forced cooling depending on the application. High efficiency, reliability and easy maintenance front access. The switch mode option can operate as a stand-alone rectifier or with battery charger capabilities. It is naturally cooled, highly reliable, with excellent efficiency and fast dynamic response.